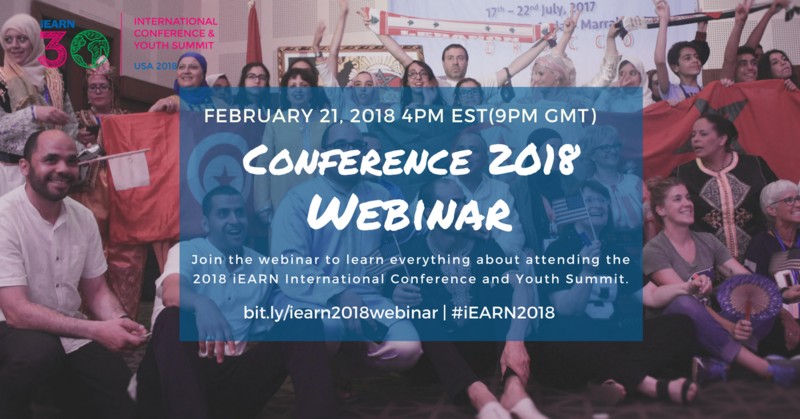 2018 iEARN International Conference & Youth Summit Registration Now Open! 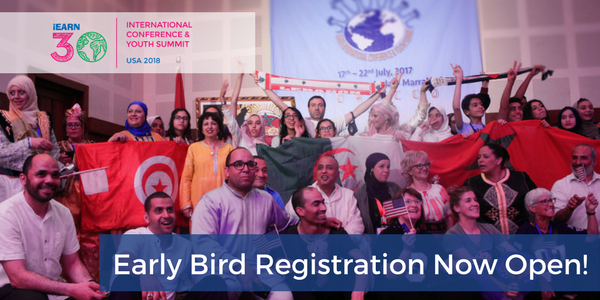 Registration for the 2018 iEARN International Conference and Youth Summit is now open! Early bird prices will be available through February 28th! If you are a youth interested in registering for the Youth Summit please note that you will not be able to register until your teacher/educator/youth leader has registered. They will be provided with a registration code that you can then use to register. More instructions are available in the FAQ. Have questions for the iEARN USA team? The 2018 conference website now has a comprehensive FAQ page filled with answers to the most commonly asked questions. We encourage you to visit that page for a quick response to your inquiries. Otherwise, mark your calendars for the first informational webinar scheduled on February 21st at 4pm EST (9pm GMT). This is a great opportunity to learn more about registration, the host community, the conference theme and how to submit a session proposal. Join us! Hurry and take advantage of the early bird rates. We look forward to seeing you in Winchester, Virginia on July 8th!